Singapore Tatler friends Darren and Dana flew to Molsheim to witness Parmigiani Fleurier launch a revolutionary timepiece in the Bugatti Type 390. The auto manufacturing facility sits on the original Bugatti factory site, making the location an ideal place to introduce the ticker, which has been inspired by the Chiron supercar. 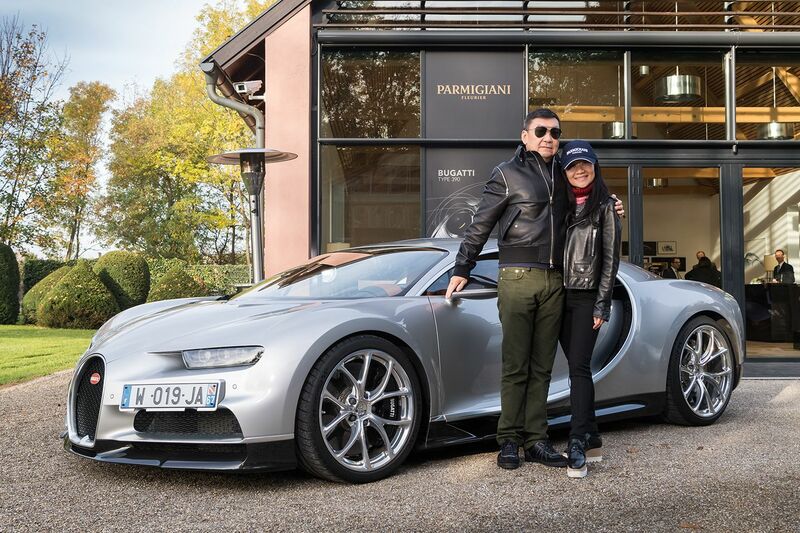 Darren and Dana Cheong were invited by The Hour Glass and Parmigiani Fleurier in October last year to visit the Bugatti manufacture in Molsheim. The watchmaker launched its Type 390 watch, which was inspired by the Bugatti Chiron, at the manufacturing facility. There, the Cheongs had a chance to try out a vintage Bugatti car as well as the new Chiron. Darren, a big Parmigiani fan, had the first hand opportunity to try and wear the new Type 390. It is a revolutionary watch that the teams from Parmigiani and Bugatti worked together to create and the ticker boasts features, which are similar to that of the Chiron supercar. Besides being the first few in the world to view the Bugatti Type 390, they had the opportunity to meet Michel Parmigiani too. The legendary watchmaker founded the brand and is still very much involved in the creative process of the collections.